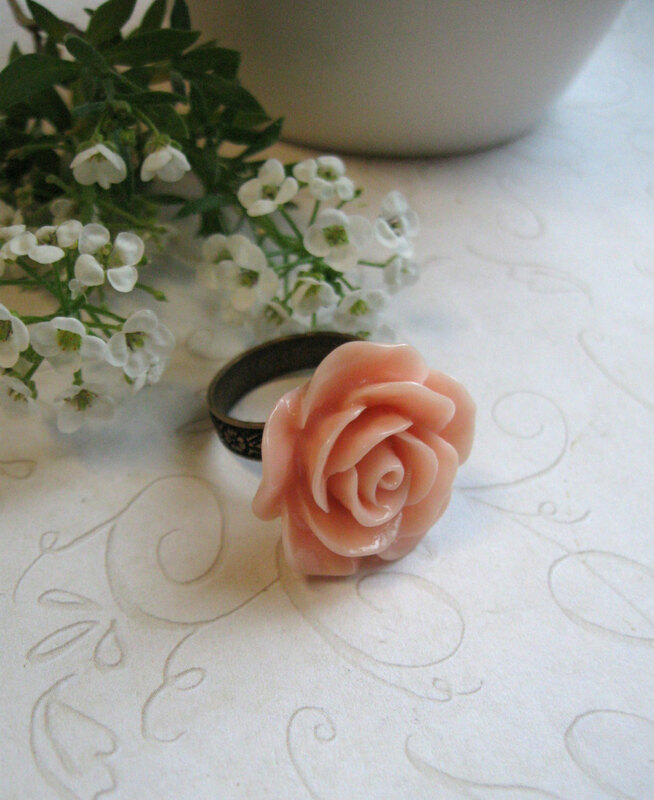 Here is a pretty peach colored rose ring, featuring a rose cabochon adhered to a brass ring band. 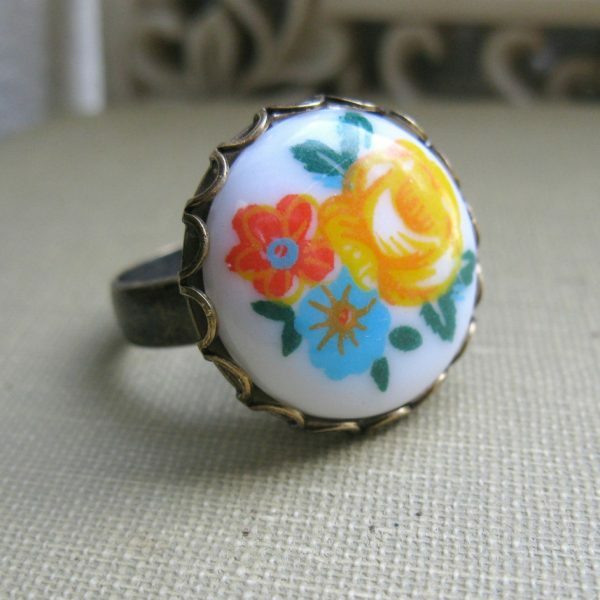 The band is solid oxidized brass with an embossed floral pattern all the way around. 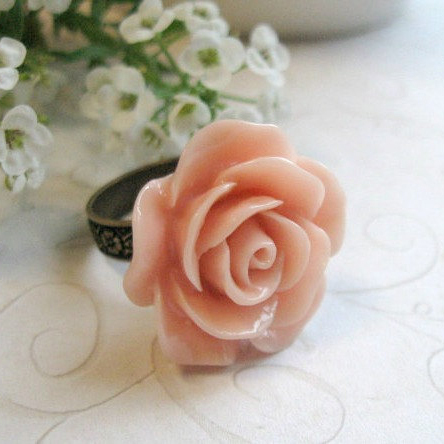 This ring is adjustable from 6.5″-10″. Very comfortable fit, this style does not pinch.